Tenkara Reigns . . .
Several thousand words may be contained in photographs from two days in May. 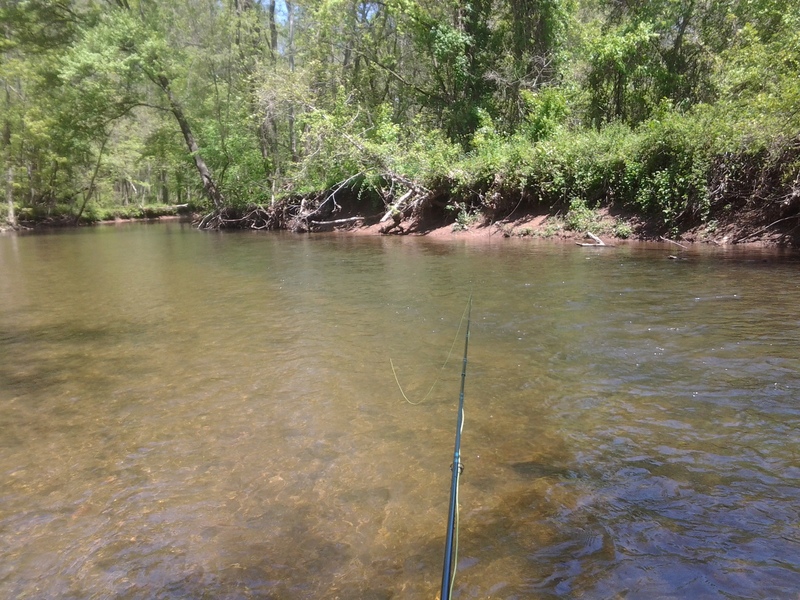 Tenkara reigns at such times in such places as this average freestone trout stream fished first under full sun and bluebird sky, followed the next day by a bright gray ceiling of cloud shedding passing short showers. Ben Feezer from R.D.O. 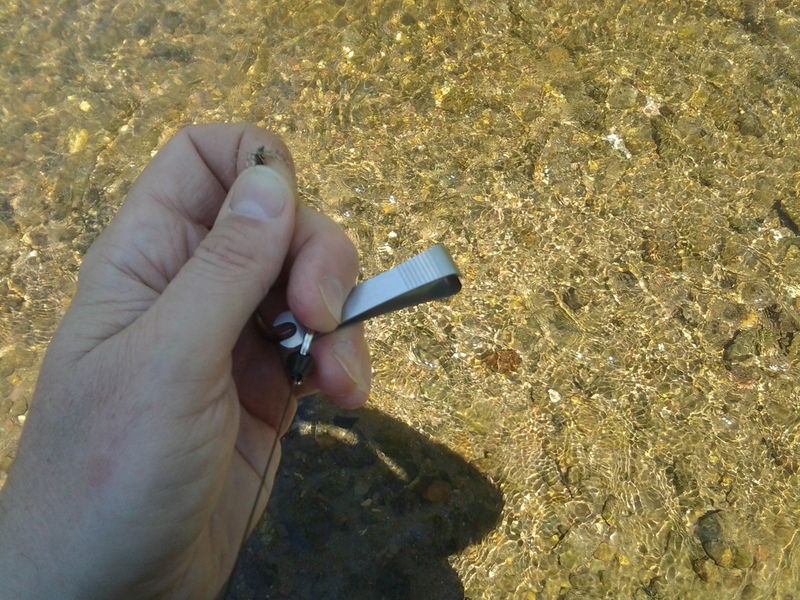 Marketing, Inc. had earlier in the season dropped off a Fisherman’s Combo forcep-nipper-zinger-retractor set that found itself stream tested on the bank besides small glades of blooming Mayapple and in the steady stream somewhat higher than felt over the past few seasons of more feeble flows. The T-Reign nippers came into frequent use during fly pattern tests. Both 6x and 7x tippet require a tight, precise bite, which the T-Reign provided in a baker’s dozen hours on the water. 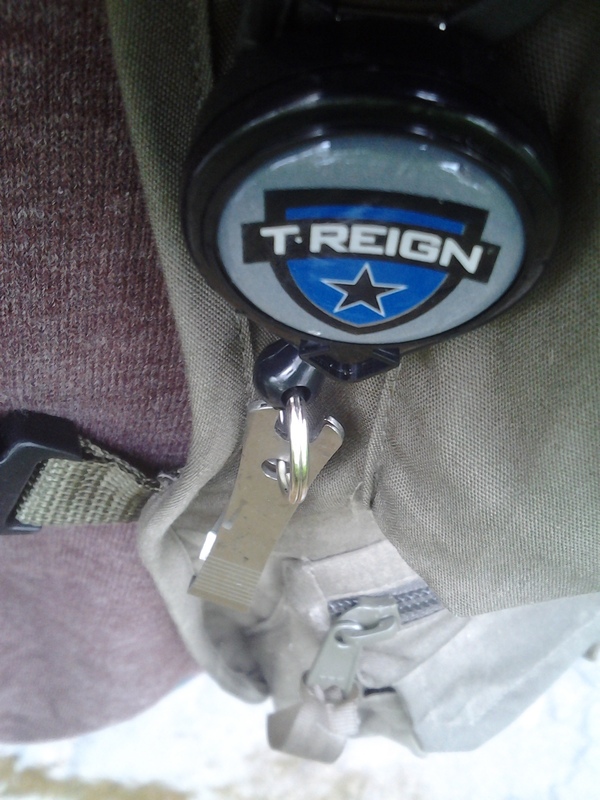 T-REIGN nipper and small retractor (carabiner) along with size 14 Partridge and Olive. 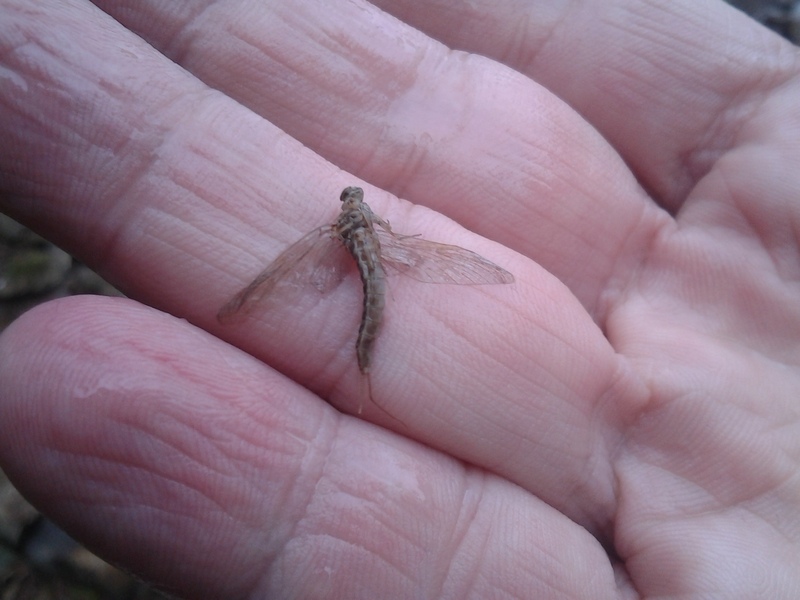 The first day, bright, clear, just a bit bit breezy, still allowed dry fly fishing as three different mayfly emerged. The March Brown, what looked to be a Hendrickson best matched by a size 18 Adams, and a very few large Sulphers. 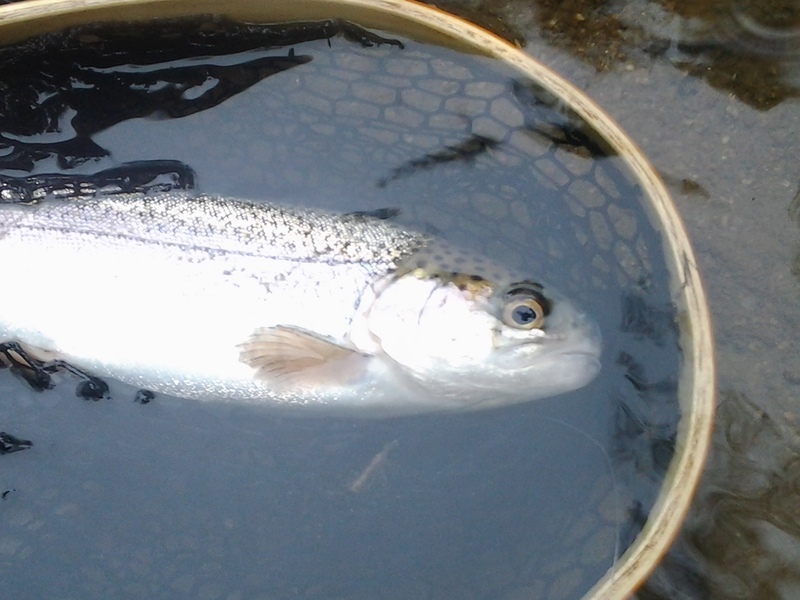 Deer and Herl unweighted met many sips from fallfish feeding in the surface film of the flow. The Green Guarantee and one of Ira Hainick’s Killer Bug variations met with steady interest from the same school. Ira Hainick’s Killer Bug: This fallfish fell for it. Some attentive observations prove to happen in repetition in enough frequency to be at least called a pattern. 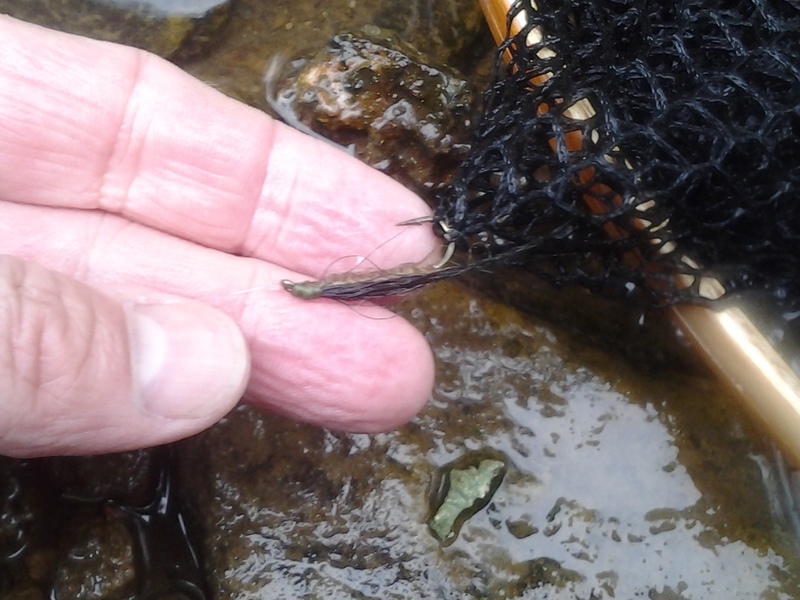 One of my own: selectivity imbues the few scattered trout pods surviving the year’s spring stocking. Such hardy fish may take just two or three positions along a mile’s length of suitable stream. Deep runs or pools may be just as well as the deceptive, flat, moderate runs that get overlooked by angler’s seeking obvious honey holes. 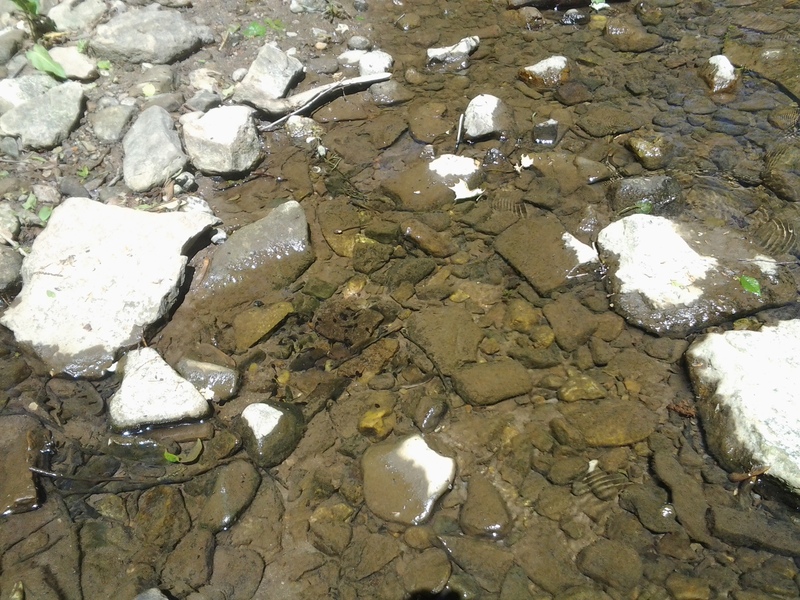 This handful of pooled spots and riffled runs may hold one to several rainbow, brook, or brown trout, but usually rainbow. 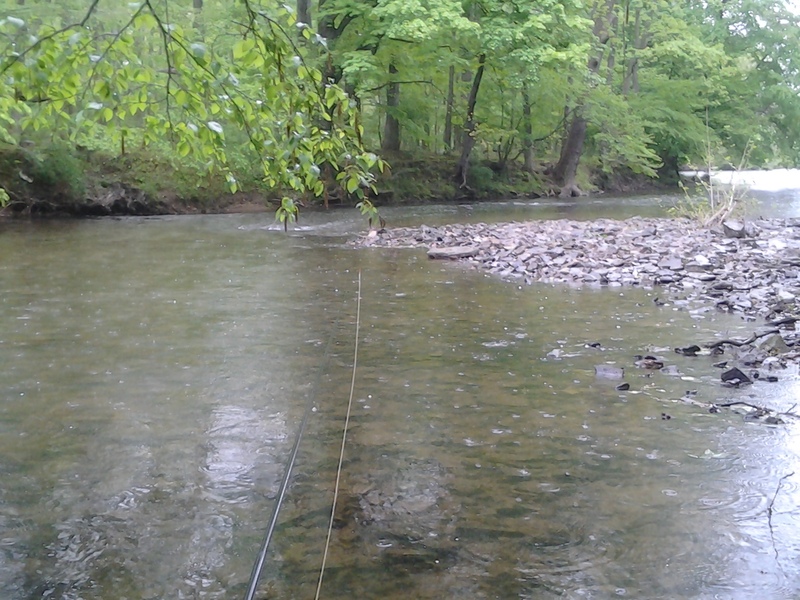 Fish acclimated to the conditions and natural forage of the given creek, fish able to survive the predator angler in stream as well as the heron and the hawk spiraling, almost as if wrestling, in the open air above. 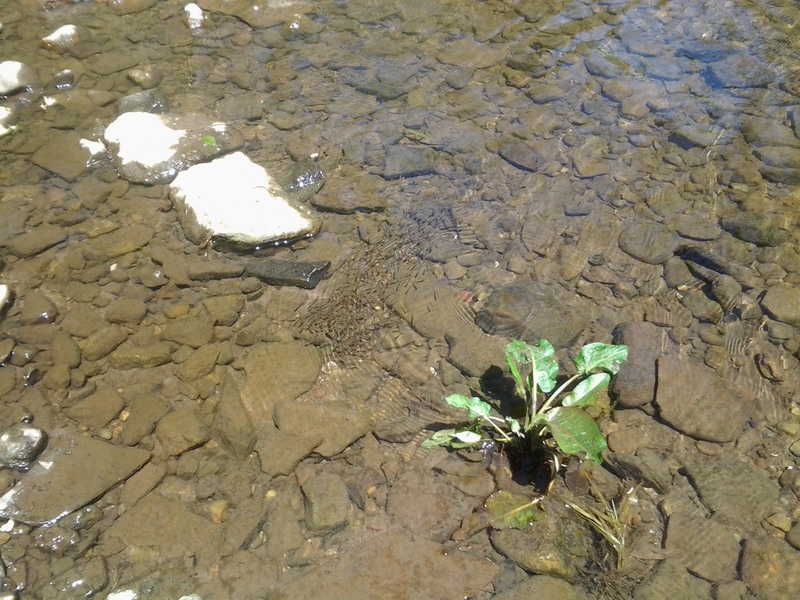 One of those naturals is the mayfly. March Brown hatch in May as does the Gray Fox, a variation now lumped in with the former by more formal entomology. To my impression the Gray Fox is the smaller, size 16 March Brown mayfly somewhat translucent of wing sustaining a body tan trending toward the grey. The Muddy Moreblack matched some aspects of the natural(s) encountered. The body color of the March Brown, the overall black of the tadpoles bunched up in still stream side puddles, and the silvered profiles of fish fry gathered in balls as tight as is seen in the salt. The wet fly pattern, worked with slow rise and fall motions by the limber Ebisu rod, resulted in two strikes at different times and one trout in net. 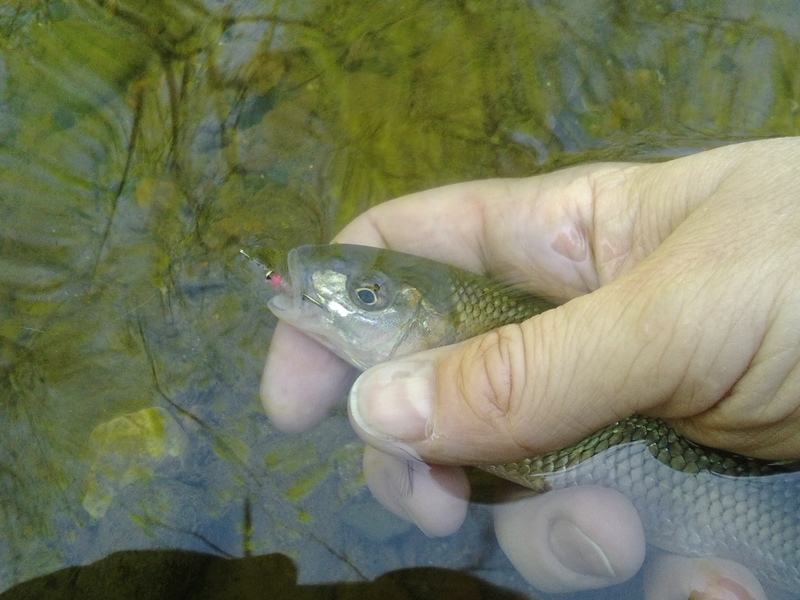 I attribute this catch to the location, the deep run of the trout’s holding lie beside a submerged boulder and a knot of tree roots in combination along the bank, for it was in just this one place I netted a selective arco iris this time out. Yes, that is a crack in my hardwood Brodin net. Another, out of view, is already bound in duct tape. Good gear gets used. The Tenkara USA Ebisu continues to be my chief tenkara tool. The Brodin net weathers well and endures to hold humanely the struggles of the fish I have been able to catch. Redington Palix River pant waders and Korkers Greenback boots make my moderate thigh high wades easier, and The T-REIGN nipper with carabiner, new and proven, is attached even now to a vest owned and operated by my wife, Maryann. Happy marriage allows us to take such sharing turns. “Tenkara Reigns.” The sentence of two words popped into my mind as precise as the bite of of the T-REIGN nipper, the casting action of the TUSA Ebisu tenkara rod, the decisive take of the holdover rainbow trout. There, the pun is left not to be avoided, if I “May” now that it is June.